Today I am linking up with The DIY Forum and HomeTalk to show my Christmas decorating. Thankfully, this year I was able to get a Cricut, which has helped with a lot of my decorating! I do not do too much though, as my son celebrates his birthday close to Christmas and so I tend to leave the decorating until after his birthday. I have come up with a few ideas to get my house into the festive spirit. 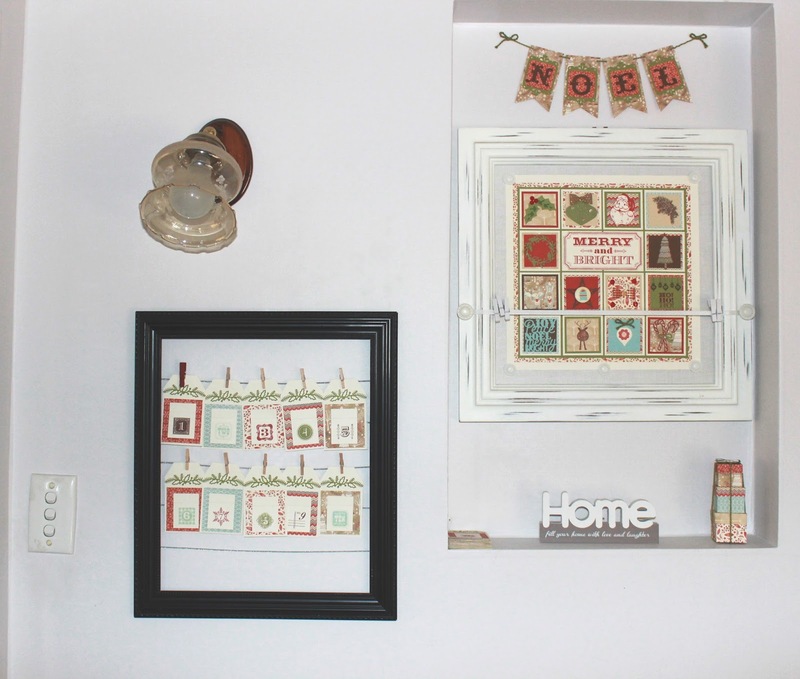 First up, my seasonal nook in the home has been taken over by Christmas papercrafts! I have done an advent calendar, Christmas banner, Papercraft Sampler and a small gift box decoration all from one Christmas paper packet and some cardstock. This advent calendar has 25 tags, all with a perforated number that has an activity written on the back. My boys will love being able to see what we are up to each day! 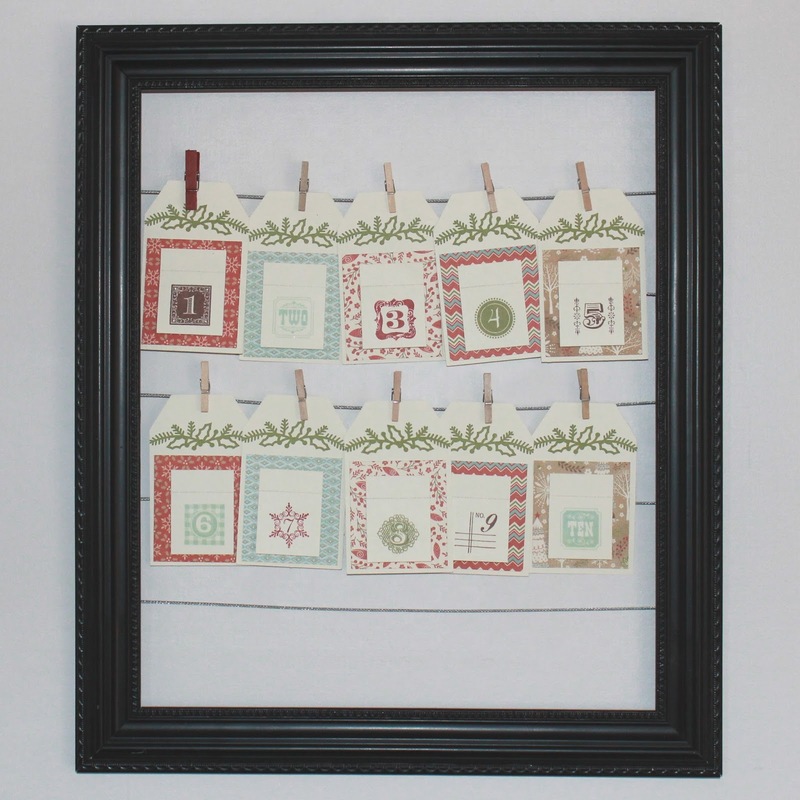 This simple banner was made using cardstock and paper, tied together with twine. This file was free on the Cricut website! 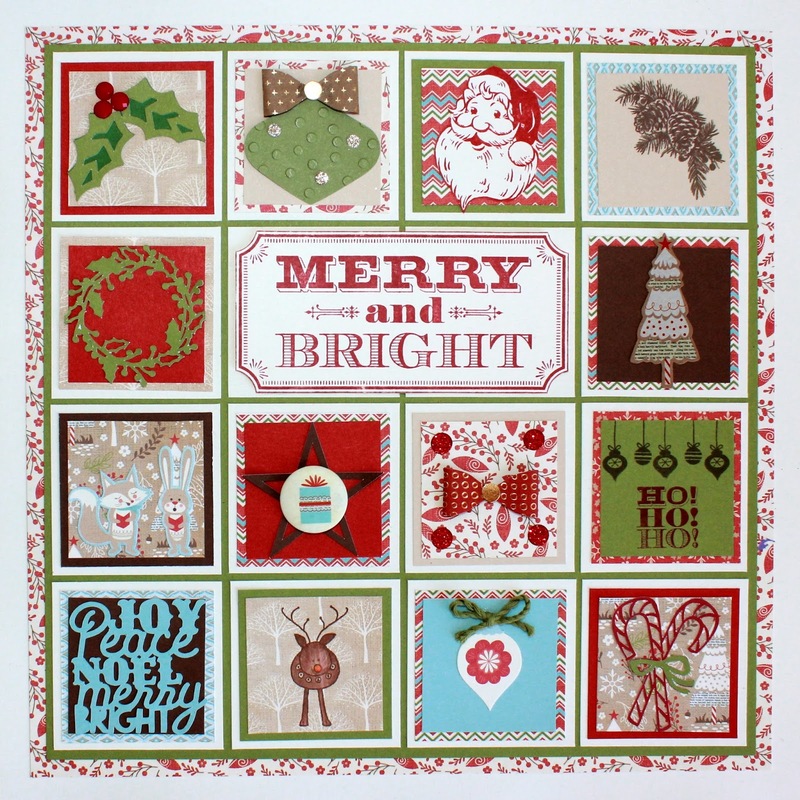 One of my favourite projects this Christmas has been this sampler, which I hang in a 12x12 frame as seen above. I love coming up with an idea for each square, and having it all come together is so much fun. 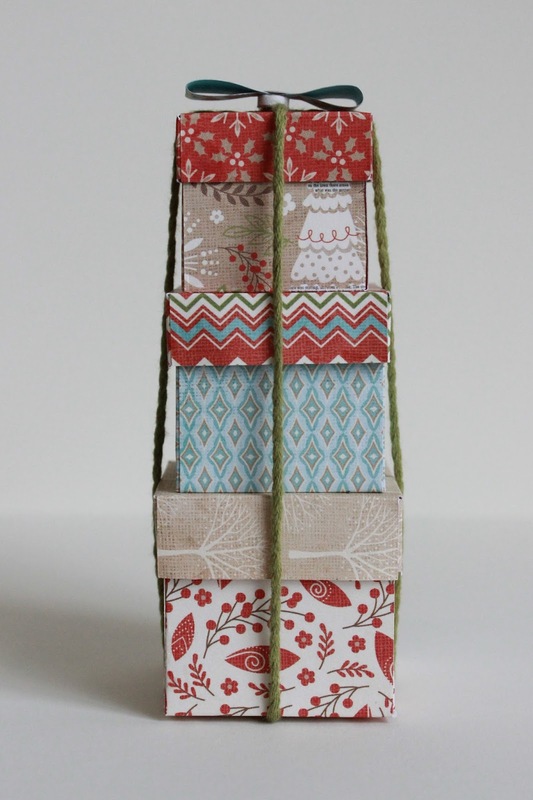 I made up some cute Christmas present stacks for table placecards, but one is sitting in my decorated nook as well. 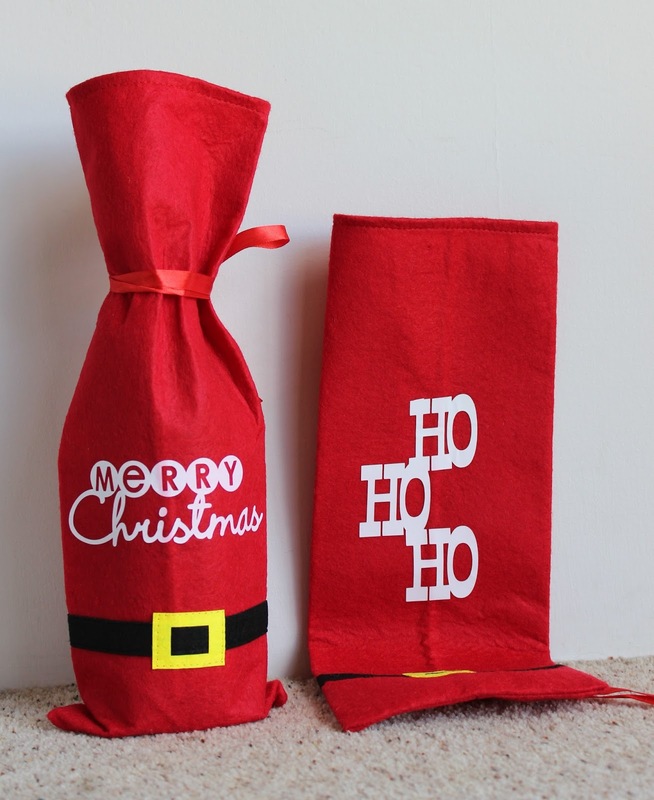 As far as gift giving goes, I quickly whipped up these wine bottle holders as wine is the perfect gift for Christmas party hosts, neighbour gifts, or even teachers. 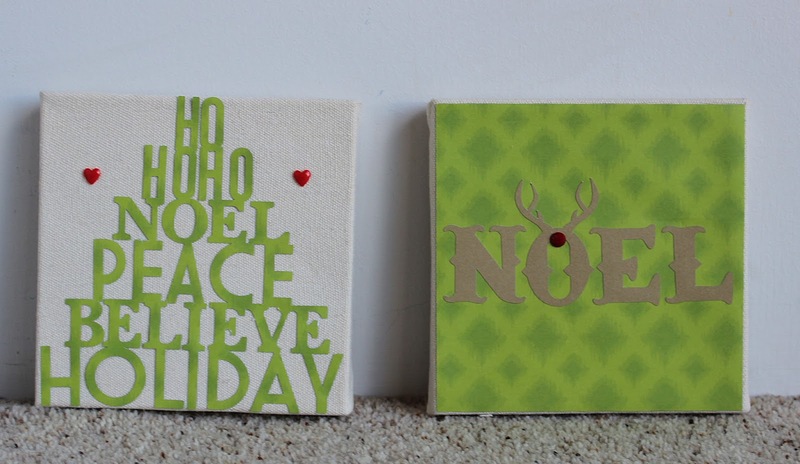 My last little project was these two 6x6 canvases, which I decorated using scrapbook paper, cardstock and some embellishments. I have had so much fun decorating for the holidays. I am still supposed to be resting for the next month, so my grand design plans have been pulled back a bit. However, I have been able to craft up a few little touches within my home to make my house feel a bit more festive. The banner is so cute!!!! You have been busy! I need to do some more Silhouette projects soon.